Check out these semi-homemade Coconut Cream Cupcakes! 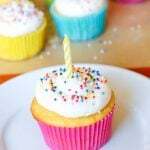 Made from a doctored up cake mix and topped with homemade buttercream frosting…easy AND delicious! If you like coconut as much as I do, you’re going to LOVE these semi-homemade Coconut Cream Cupcakes with Homemade Buttercream Frosting! 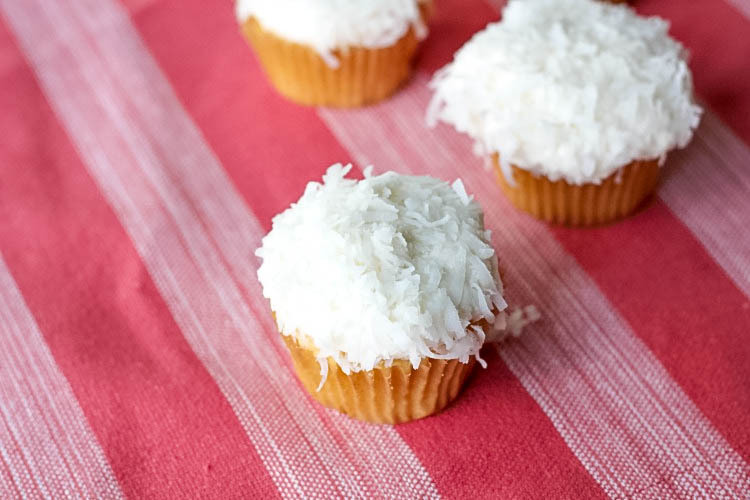 Made from a doctored up cake mix and homemade buttercream frosting, these Coconut Cream Cupcakes are easy AND delicious! One of my most favorite things to splurge on is cupcakes. I love all cupcakes! I also love cake, but having a cupcake is like having a perfectly sized portion of a piece of cake right in your hand. 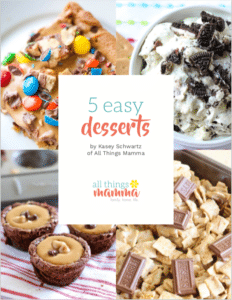 Plus, it’s easy to eat, you get the perfect amount of cake and frosting in each bite and they’re just so darn cute! I have to refrain from making them often since they are so easy to just grab one as you’re walking by the counter. I end up eating way more than I should! 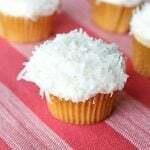 One of my favorite flavors of cupcakes is coconut! I love coconut anything, really. When I was growing up, my mom made the best coconut cake. And I wanted to take that same delicious taste and put into a cupcake form. 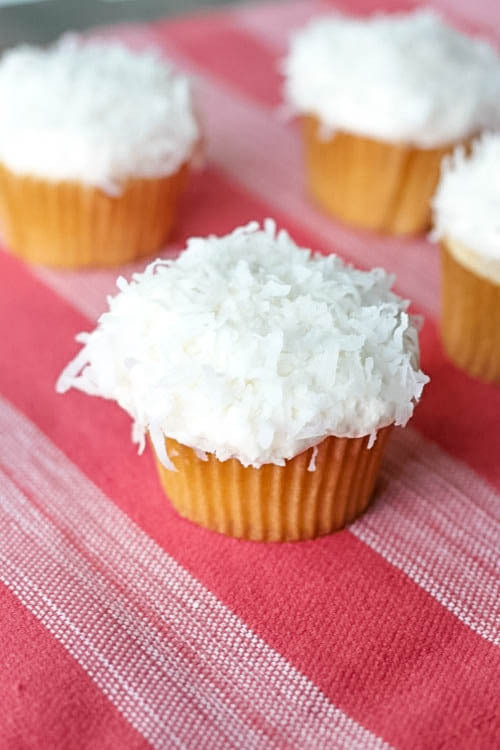 I’m pretty sure I accomplished that with these easy to make, Coconut Cream Cupcakes! 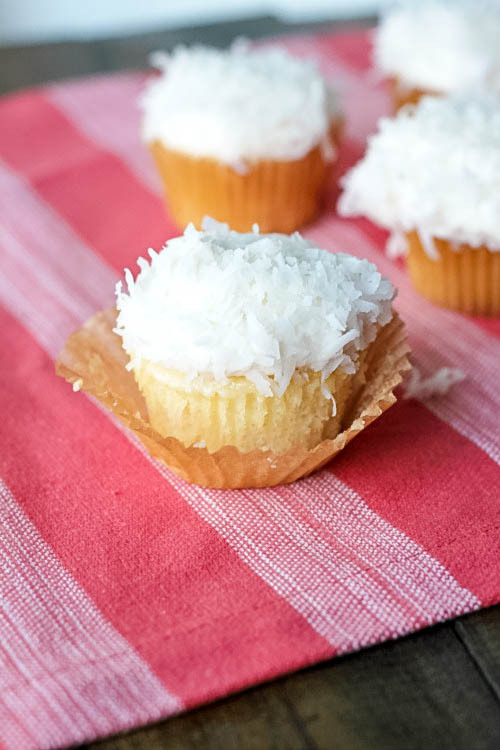 You could make this Coconut Cream Cupcake from scratch, but I’ve found that doctoring up a cake mix provides the best flavor and consistency every time. 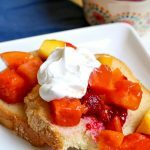 I use Duncan Hines cake mixes since they are Wilton approved. Did you know that MOST wedding cakes come from this box mix? I had no idea until I saw a local baker buying a ton at the store one day and then a friend of mine shared this secret from her cake making classes! See…anyone can be an amazing baker with just a little practice and these cupcakes are about as easy as it gets! I use my buttercream frosting and top with sweetened coconut. I have to say that the frosting is key to an amazing cupcake! It’s not too sweet or heavy. 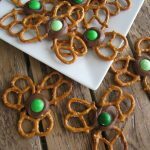 My recipe always turns out the same which makes it the best go-to frosting for cupcakes or cakes! Check out these semi-homemade Coconut Cream Cupcakes! Made from a doctored up cake mix and topped with homemade buttercream frosting...easy AND delicious! In a large bowl, whisk together cake mix, flour, sugar and salt. Add remaining ingredients and beat for 2 minutes, or until well blended. 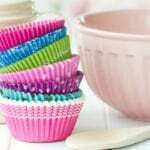 Use an ice cream scoop to fill prepared cupcake tins- fill about 3/4 full. Bake about 18 minutes, or until toothpick inserted in center comes out clean. Remove cupcakes to wire rack to cool. Top with sweetened coconut - patting down slightly to so that it doesn't fall off. Place the butter in the bowl of a stand mixer fitted with a paddle attachment and beat on medium speed until smooth, about 1 minute. Reduce the speed to low, slowly add powdered sugar, and beat until fully incorporated and smooth, about 3 minutes. Stop the mixer and scrape down the paddle and sides of the bowl with a rubber spatula. Add vanilla and salt. Mixing completely. Add milk one tablespoon at a time until it's a smooth consistency. Turn mixer to high and beat until light and fluffy. 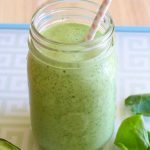 Need to alter a recipe for other measurements? 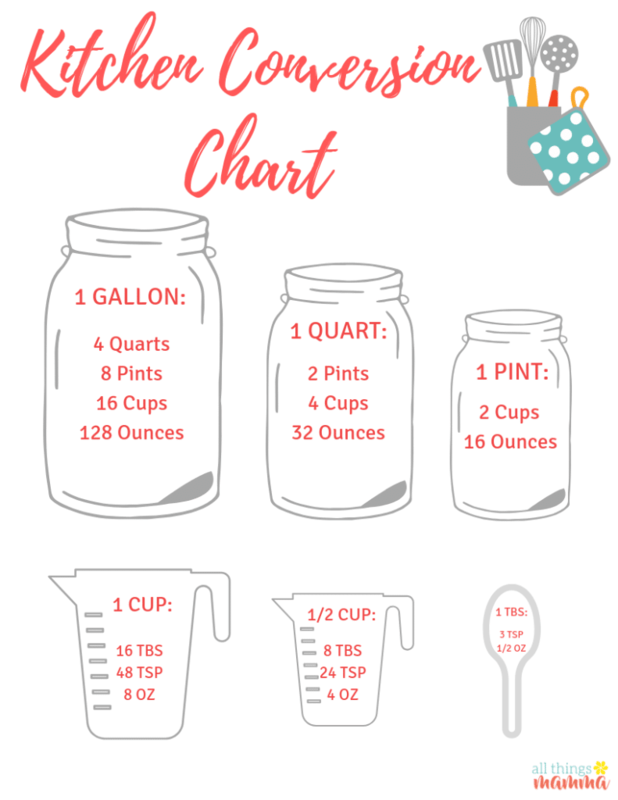 Try this free printable that shows you How Many Cups in a Quart, Pint or Gallon and other valuable ways to translate while you cook. If you like this recipe…try these next! The recipe says to add the remaining ingredient to the cake batter, but do you save the coconut cream for the end, or do you add it in the batter? I just found this site bur love love love it already. I knew some of the things y’all posted like the 10 tricks of make box mix taste like scratch. I learned that from my grandma. But your buttercream icing recipe is the BOMB. I just love it. Very addictive. I too am a coconut lover. Anything I can put it in I do. Thanks for the post. Please post more. 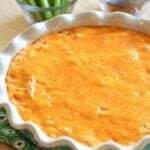 Did you use any coconut cream in the batter or just add 1 TBS. to each cupcake after they were baked? 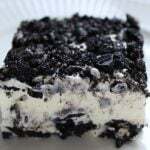 If you make this as a cake instead of cupcakes, would you still poke holes and pour in the cream throughout? I’d use coconut oil instead of vegetable or canola. The icing didn’t turn out as solid as I expected. Did I do something wrong? Well, my guess is that maybe your butter was too soft. I set mine out while I’m making the cupcakes so it’s not hard but not soft. Right in the middle. 🙂 Not sure if that was it, but worth checking next time. Let me know! My husband would just flip over these. He loves cake, but especially if it has coconut on it. I was wondering how to make this into a CHOCOLATE Buttercream Frosting? 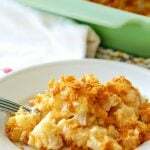 I use the Duncan coconut cake mix and a bit of coconut extract! 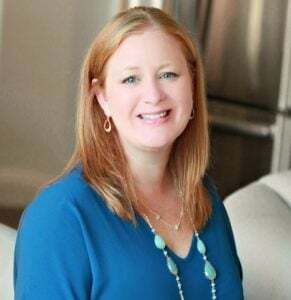 Follow your 10 tips! They are amazing!!!! Oops! And coconut pudding!!! Will be making for Easter!! That sounds so good!! Thanks for sharing! !